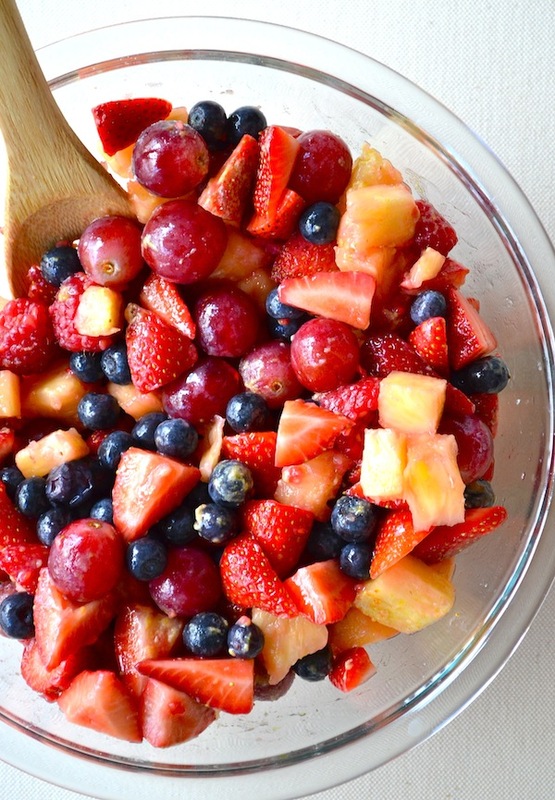 So, what’s this fruit salad’s secret? It’s wonderfully simple. Dry instant vanilla pudding mix! The powder mixes with the juices of the fruits to make a delightful fruit salad dressing.